New York City is one of those cities that everyone needs to visit at least once in their lifetime. Luckily for me, I only live 3 hours from New York City and get up there about once every two years. One of the things I love about the city is that there is always something fun to see and do...24 hours a day, 7 days a week. It is a city that I could never be bored in...ever! The Quin Hotel Completes Final Phase of Opening With Unveiling of 17th Floor Terrace Rooms and Suites. If you are heading to New York City in N. Y. this is definitely one hotel you will want to consider. The Quin, New York¹s quintessential lifestyle hotel, has completed the final phase of its opening with the unveiling of the hotel¹s capstone level the 17th floor, which includes five spectacular terrace rooms and suites and a luxurious penthouse suite. 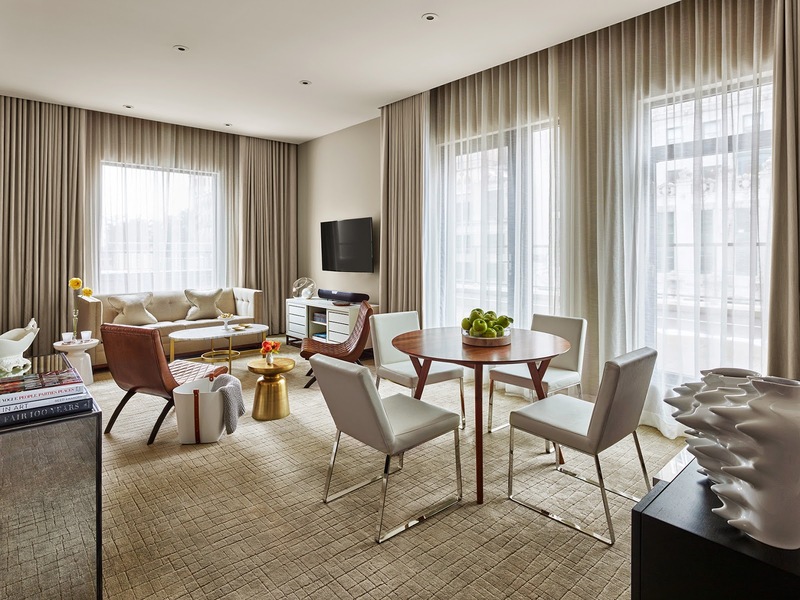 Each of the new rooms and suites features an expansive private terrace, while the extraordinary 3,400 square foot, 3-story, 3 bedroom penthouse offers panoramic views stretching from the Freedom Tower to Central Park between three private terraces totaling more than 1,840 square feet. Having made its debut in November 2013 on 57th Street and Sixth Avenue, the Quin quickly earned accolades for its personalized services, superb design, and its culturally significant Quin Arts program. 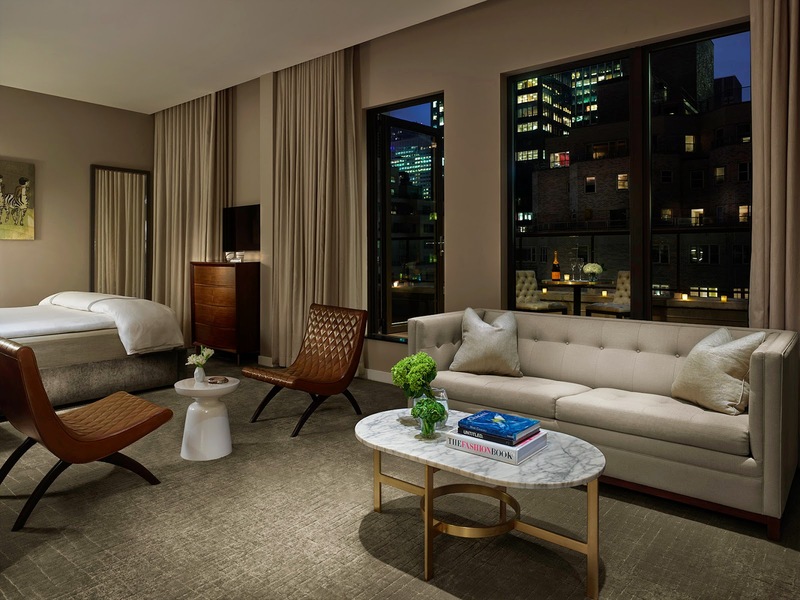 The new terrace rooms & suites, a rarity among New York City hotels, reaffirm the Quin¹s position as the ultimate oasis in the heart of the city¹s cultural center. The Terrace Rooms & Suites were unveiled in March, while the new Penthouse Suite will be available starting in April 2015. The only thing more coveted than having ample room to entertain in Manhattan is having ample room to entertain outdoors. As the weather warms, New Yorkers are rejoicing in the triumphant return of spring by flocking to the city¹s parks, rooftops, sidewalk cafés, and courtyards, but private space remains a precious commodity. The terraces of the Quin¹s 17th Floor accommodations are among the largest in Manhattan, offering exceptional private outdoor spaces for its guests to relax and entertain alfresco. Comprised of five rooms and suites, including a Terrace Premier, Terrace Junior Suite, Terrace Premier Suite, and the main foyer to the triplex Penthouse, the exquisitely appointed 17th floor accommodations feature expansive private terraces with views of 57th or 58th Streets, 6th Avenue, or Central Park, oversized wall-to-wall windows, and soaring 15-foot lofted ceilings. The hotel¹s marble bathrooms have been further upgraded with ultra-luxurious amenities exclusive to the 17th floor. This includes heated floors and custom wet rooms with an extra-wide flat panel rain shower plus a multi-jet body spray system with adjustable sidebars for a true spa-like experience. These inspiring suites also feature original work by world-renowned artists like Amanda Marie, John Jacobsmeyer, Pure Evil, Michael De Feo, and Jessica Augier. Individually selected by the Quin¹s art curator, DK Johnston, the paintings speak to themes of nostalgia, evolution, and playfulnessa subtle reminder that the journey through the landscape of New York City often invokes a convergence of all three motifs. The entire floor can be reserved to accommodate a private full-floor buyout, ideal for large family vacations to sleep 15 adults, international delegations, extended stays, wedding parties and social gatherings. When reserving the entire floor, the private terraces can interconnect, creating an unprecedented open-air event space that wraps around the historic building. This flexible function space can be adapted for any occasion in any season. With panoramic views stretching from the Freedom Tower to the Metropolitan Museum of Art, which is nestled alongside Central Park, guests will enjoy intimate and elegantly appointed bistro seating areas and chic sun loungers, verdant landscapes, and the stunning architecture of the original façade. Imagine reading the morning news from high above Sixth Avenue with breakfast and a freshly brewed espresso, sipping a pre-dinner cocktail as the sun sets over the park, or gathering with a small group of friends for a nightcap whilst surrounded by the city lightsthe Quin¹s guests can share the moments that city dwellers live for. The Quin has, since its inception, been committed to delivering personally curated experiences to its guests. Recognizing that guests travel to New York City with a myriad of aspirations and intentions in mind, the Quin is intuitively endowing those who book preferred suites with the unique opportunity to choose a complimentary stay enhancement, customized to their needs. Whether visiting for vacation, an arts and culture excursion, shopping weekend, or business trip, guests who book the Penthouse or 17th Floor Terrace Suites are invited to select one of four exclusive gifts: a 55-minute in-room spa treatment for two, a personal training session with Vitals for two, a $300 Bergdorf Goodman gift card, or a $300 dining credit, compliments of the Quin. Perfect after a long day of sightseeing or business engagements, guests can relax with a restorative in-room spa treatment in the privacy of their Suite or outdoor terrace. Spa treatment selections include a calming reflexology combination massage, a focused deep tissue massage, or a reenergizing Swedish massage. The selection includes two 55-minute treatments, applicable as a couple¹s treatment or as two separate services for the same guest. Travelers training for an upcoming race or those who are looking for a way to feel their best while on the road will appreciate the support of an elite trainer. Vitals coaches will lead guests in a customized and comprehensive hour-long wellness program, applicable for a joint session for two or as two separate training sessions for the same guest. Guests can workout in the Quin¹s state of the art fitness center or in the privacy of their suite, outdoor terrace, or perhaps in Central Park. Shoppers may not need the extra encouragement, but the Quin is gifting a $300 Bergdorf Goodman shopping card to help ³foot the bill² at BG¹s world-famous shoe salon and more; includes a personal shopping appointment with a BG stylist. Finally, foodies can choose a $300 dining credit that can be applied to food and beverage purchases at The Wayfarer or in-room dining. Terrace Suites are available starting from $2,000 per night. Reservations at the Quin are available by calling (855) 447-QUIN (7846) or online at http://www.thequinhotel.com/most-popular-offers. Since I only live a railroad ride away I have never Stayed at a NYC hotel. The Quin hotel looks magnificent and I love the id of the $300 Bergdorf GC to help allay the costs!